Hands down, THIS is the most powerful persuasion technique of all time. Religious leaders like Jesus, Buddha and Muhammad have used this persuasion technique to create movements that have swept across the world. Does this persuasion mechanism live up to the hype? 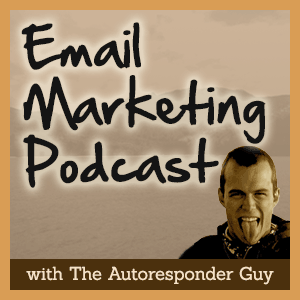 In episode #26 of the Email Marketing Podcast, you’ll discover how to put this powerful persuasion technique to work in your emails. If you APPLY what you discover today, I promise you that you will transform your business over the next 6 months. My guest, Richard Geller, came to me via Andre Chaperon. We jumped on Skype for a chat about email marketing and I was blown away by Richard’s understand of marketing. This guy has CHOPS! He owns a business in the men’s relationships space, where they drive a TON of traffic to squeeze pages, then relentlessly follow up with their prospects via email.